Portland or Seattle? Seattle or Portland? Whatever side you’re on, we can all agree that our neighbors to the north have some activities and attractions that make their city pretty unique. With three POA branches around the Emerald City and its suburbs, let’s take a closer look at what Seattle has to offer and how POA supports the city. Feeling adventurous? Take a day or weekend trip out to the Olympic Peninsula for hikes, lakes, and lush Pacific Northwest beauty. Whether you stay in the city or head into the mountains, the proximity to nature is undeniable. Don’t miss all the art scattered throughout the city. 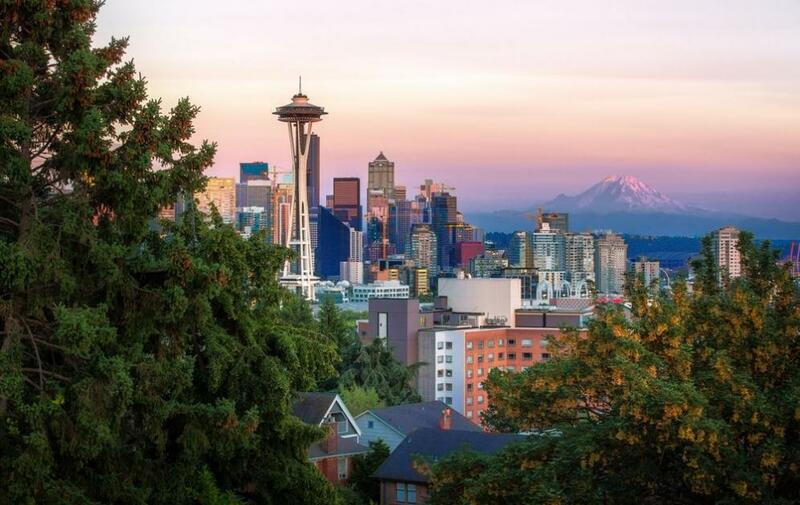 From the classic Seattle Art Museum and Frye Art Museum to the outdoor Olympic Sculpture Park and Chihuly Garden and Glass, you’re bound to find something to enjoy in the city. Into entertainment and culture? Head over to Seattle Center and the Museum of Pop Culture (MoPOP) to check out the latest exhibit. Sports fans, you’re in luck. There is no shortage of sporting events going on across the city; our Seattle teams regularly catch games with each other after work and on weekends. Even better? POA sponsors the Seahawks and Sounders teams! With so many of our employees located in and around Seattle, we’ve been lucky to support many local community events. This past summer, we hosted our annual golf benefit at The Golf Course at Redmond Ridge, which many of our employees participated in. We’ve also been sponsoring the Infinite World of Science Fiction exhibit at MoPOP. Stay tuned throughout the year for other Seattle events we get to be a part of! We have a hard-working bunch at our branches in Seattle, Tacoma, and Everett, and we’re looking to grow our teams with more ambitious professionals! Discover a career at Pacific Office Automation today.